Middle/Late Phrygian pottery. 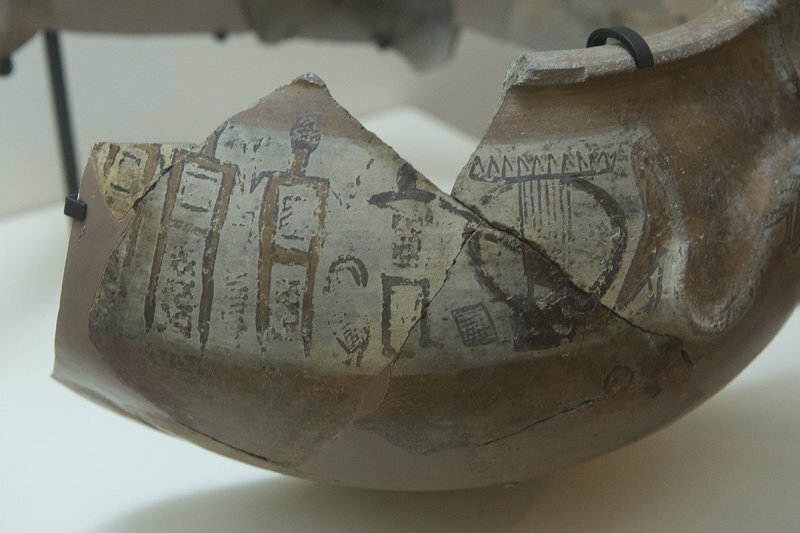 During the life of the new Phrygian citadel several pottery types continued, as can be seen by comparison with pottery from the earlier citadel. Geometric painted decorations also continues, yet Phrygian painters now have greater interest in figural designs than they had at earlier times. Fine black-polished wares are now popular, as are vessels with decorations painted on a white background. Some of the vessels here are good examples of the imitation of metalwork in clay, while others imitate Achaemenid (Persian) silver vessels. Since the new Phrygian citadel did not witness the kind of sudden and massive destruction that befell the earlier citadel, complete examples of vessels are generally rare.